Since we're all back in Boston today, I thought I'd share this one. This post is also published in the youlookfab forum. You can read and reply to it in either place. All replies will appear in both places. Heh. Grinning right back atcha, folks! Hilarious!! I was wondering when that one might turn up. What a fun day it was. 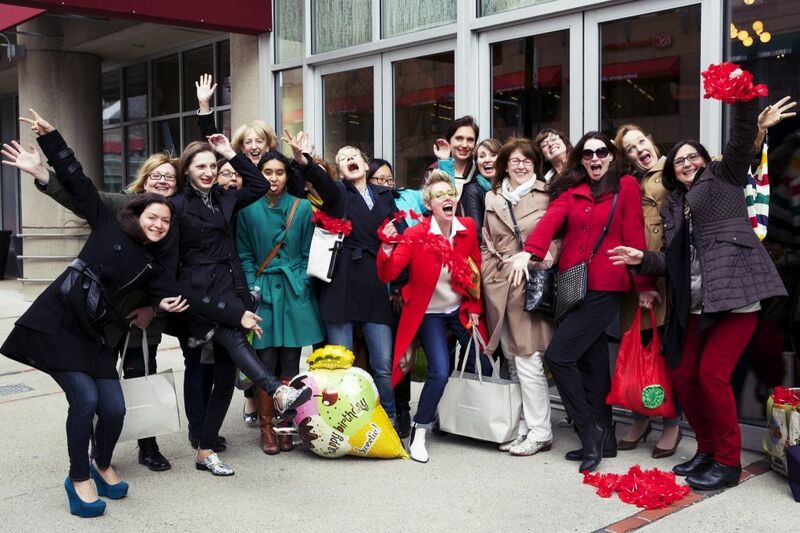 LOVE this photo, and there's no doubt in my mind that Boston is still recovering from having such a super stylish and exuberant group of women in its midst. Ah ha! Crazy awesome! I love it! such a crazy happy stylish bunch abig smile back at ya!have saved this for my desktop. And it was as fun as the photo suggests! Woo, puts a huge smile on my face! Thanks for putting a smile on my face today. Hilarious! So glad we got to see what that pic looked like. Thanks, Greg! I am so jealous right now. Looks like fun times were had. Awww---You are all too cute! WAHHH! That is a riot! What a crazy, fabulous, FUN bunch! LOVE it! Oh, what a great reminder of that day. Ha! I miss all you fab ladies! I wondered what happened to that one!! Thanks Greg. Brings back fond memories! So much fun! Thanks for the great memories! I wonderd too...it is like getting back to that happy day. I forgot all about that one! What fun we had! :) :) Thanks for sharing. This will have to become a new tradition in YLF meet-up photos! Greg, you certainly captured the fun. And who would ever want to unsee it? Not me! Love! Needs to be printed as a poster! thanks for showing us this, Greg! What a fun day. Hi, I'm Greg. I design and build youlookfab.com. I also do our photography and this blog is where I will post interesting photos that don't make it onto YLF. lookfab.com was inspired by the members of the youlookfab forum, who share our belief that style is beyond shape, size, age and budget, and above all, that fashion should be fun!